Hertfordshire’s newest wildlife attraction, Ventura Wildlife’s Zoological Gardens (VWZG), located in Great Amwell, has welcomed two of the world’s largest marsupials into its collection. 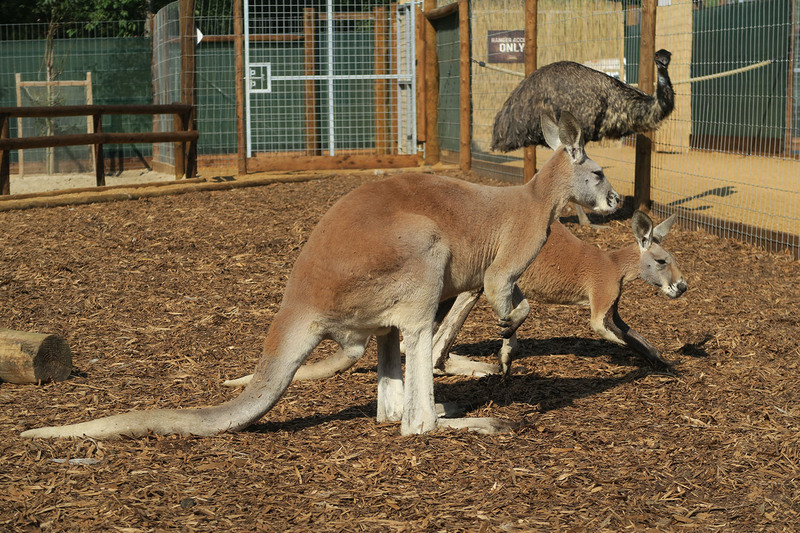 The arrival of two male red kangaroo marks the first time this iconic species has been displayed in a modern zoo within the county of Hertfordshire and makes VWZG one of the few zoos in the UK to house them. Records suggest the last time a red kangaroo was displayed in Hertfordshire was during the late 19th century by the famous animal collector Lord Walter Rothschild. VWZG used its sister organisation Ventura Wildlife’s Zoological Services, which specialises in the transportation of wild animals, to transport the two red kangaroo from Zoo Parc Overloon in Holland. The kangaroo can now be seen as part of the Australian exhibit at VWZG. The zoo is open daily and accessible for all ages and abilities.